Guy studied painting and earned his BFA at Wayne State University in Detroit, his interest in printmaking confined to a class or two he’d taken along the way. 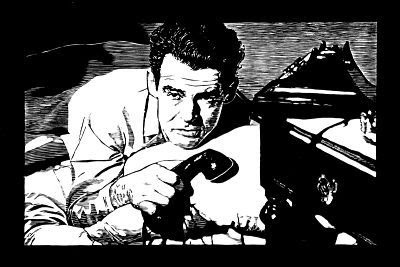 After moving into a downtown Detroit neighborhood, Guy began checking out film noir rentals from a nearby public library with a sizable movie catalogue. 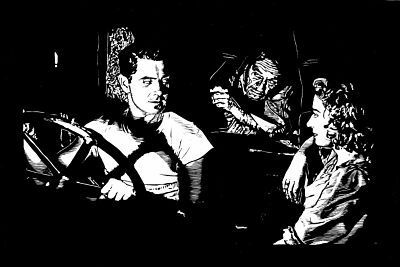 His dedication to painting would wane, but his passion for film noir would lead to his move into woodcut printmaking; a friend urged him to create art inspired by his love of noir. His first piece, completed in 1999, was an image from Out of the Past. A few years later Roger Ebert, a great fan of the film, would buy (note: see Guy's comment below) a print. 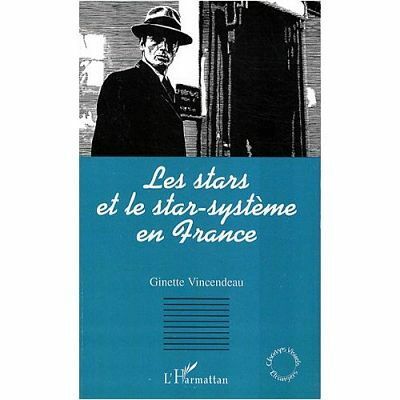 In 2008, Guy’s image of Alain Delon in Jean-Pierre Melville’s 1967 neo-noir Le Samourai appeared on the cover of Ginette Vincendeau’s book, Les Stars et le Star-Systeme en France (The Stars and the Star-System in France), published by L'Harmattan. 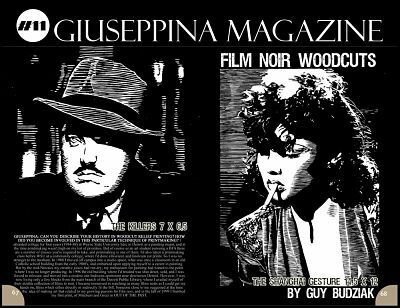 In 2012, Giuseppina Magazine, a lavish art, entertainment and fashion quarterly ($48 per issue) published a six page spread spotlighting Guy’s work. In the interview that accompanied his images, Guy was asked what he found most intriguing about film noir. I’ll soon be framing and hanging the print of Nightmare Alley I just purchased and I encourage those interested to click here to go to his website and view an entire gallery of his incredible art. Guy can be contacted through his site for information on how to purchase prints. I like how he includes a short description of the scene for each print, it shows that he *really* loves these movies. I would probably purchase The Shanghai Gesture because it's so stylish, but all of them are very well done. These are all very impressive.. I love them all!! The Tyrone Power, Ian Keith and Joan Blondell in Nightmare Alley, is my favorite. Those images are quite striking. Nice of you to promote his work on your blog, Eve. Now, that's a skill you don't see every day! The marriage of woodcutting and the love of film = a unique piece of art. Thank you for bringing this unique artist to our attention. good stuff! I always admire the talented. Maybe its just jealousy. Film noir lends itself perfectly to his style, or is it the other way 'round? I wonder how well someone could do if they tried to replicate his technique in PhotoShop? My problem with art, no matter how much I like it, is the small condo we live in. I can't even display my own photos of stars I have met. So, I will keep playing the lottery. If I win, I may buy a big former star's house in Hollywood! Thanks, Eve, for bringing an interesting subject one more time. You just keep finding them! Eve, I adore the woodcut of OUT OF THE PAST. Thanks for highlighting Guy's unique artwork. Very happy to see all these positive comments on Guy's unique - and gorgeous - woodcut artwork. Guy's work is fascinating. I have been aware of his art,via his website, for a few years,and he was actually an early vistor over at 24frames. 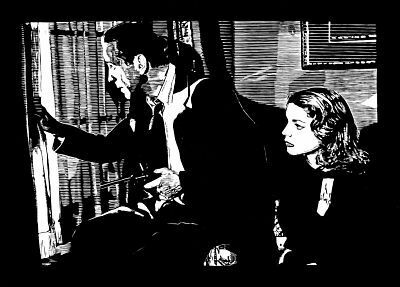 It's great that he can combine his love of film noir with his art. Thanks for the heads up. Will check him out. My print of Guy's "Nightmare Alley" has arrived and it is just stunning. Even more so in person than I imagined it would be. I can't say enough about the quality of his artwork. And at 50% off, an exceptional deal - a steal. 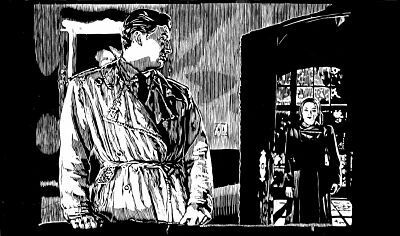 Guy's work is impressive - he captures the essence of film noir. I have not seen the print, but will query the office! So there you have it. He didn't purchase it, but essentially he did acquire it. Like many, I didn't always agree with his assessment of certain films but still respected the intelligence and appreciation he brought to his vocation. We are all sad at his passing. Guy, Thank you for clarifying the details on how Roger Ebert acquired his print of "Out of the Past." 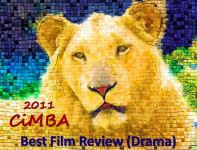 I didn't agree with him on every film either, but admired him much - his passion for film, his eloquence and more. He is missed.